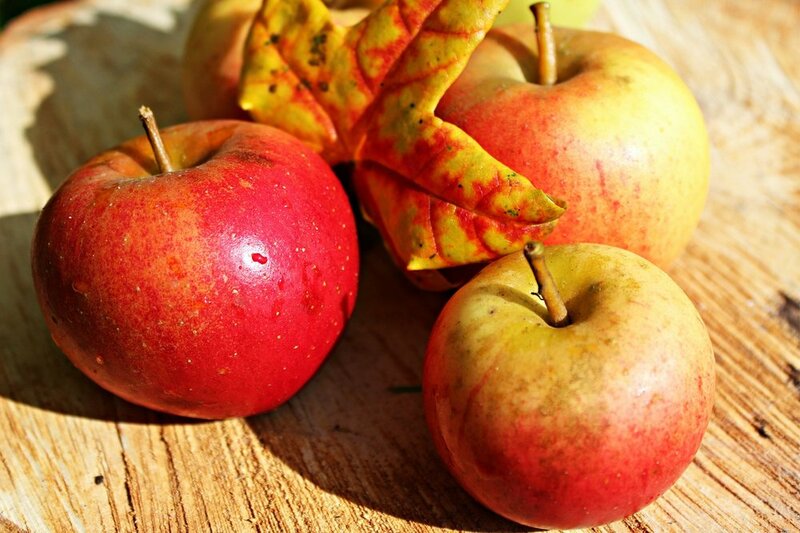 Why are we Wild About Apples? Place applies in a stock pot with at least two inches of water covering them. Boil, uncovered, for one hour. Cover, reduce heat, and simmer for two hours. Apples turn brown when they are exposed to air (which contains oxygen and water molecules), because of an oxidation process that occurs during exposure. The skin on the apple normally protects the apple from this process. When the apple is cut, the fruit cells are damaged, allowing oxygen in the air to react with the enzymes and other chemicals in the apple. This results in the color change and is an example of a chemical change.